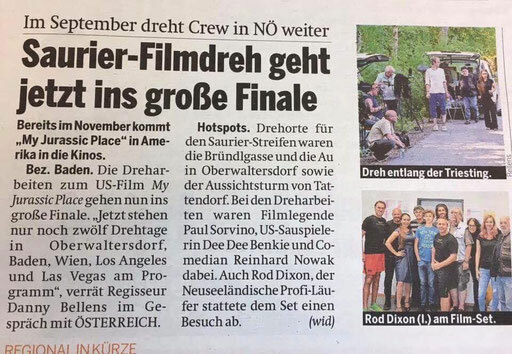 "Ein sehenswerter Filmessay über Megapolis und seine Bewohner." die kalifornische Wüste mit den Küsten des Pazifischen Ozeans verbindet." 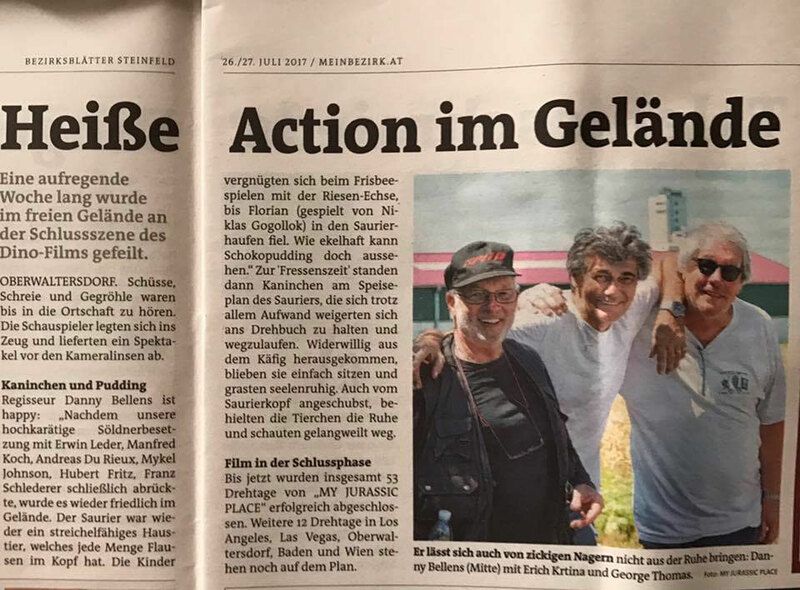 "Ein ungewöhnlicher, aber herausragender Film jenseits der Genres. Eine Geschichte über den Sunset Boulevard und seine Bewohner." 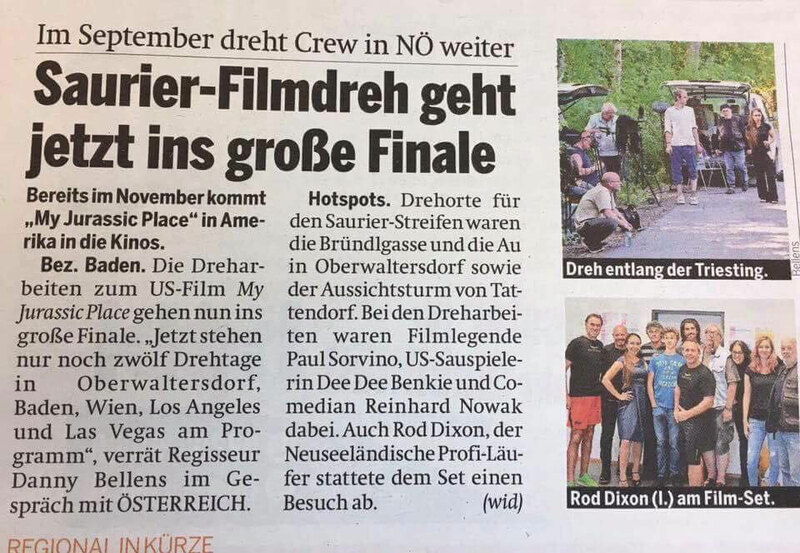 Award for "Walking On Sunset"
„Walking On Sunset“ a film of the Austro-American director, DoP and producer George W Arnhoff has gotten great attention in New York. The jury of the “New York International Independent Film Festivals” gave this outstanding Film – so the jury – 2 THUMBS UP. “Walking On Sunset” was screened at the Festival May 2005 in New York and was awarded in the category “best supporting actress”. In September 2005 it will be screened in Los Angeles . The film also was presented to the Cannes Film Festival this year. “Walking On Sunset” staring Michael Wilder, and Marta Santamaria in its mainparts follows in fragments a young man from Houston, Texas who is searching for his vanished father in Los Angeles along Sunset Boulevard. By doing this, he remembers all the colorful people he met, growing like flowers on the dry desert grounds. 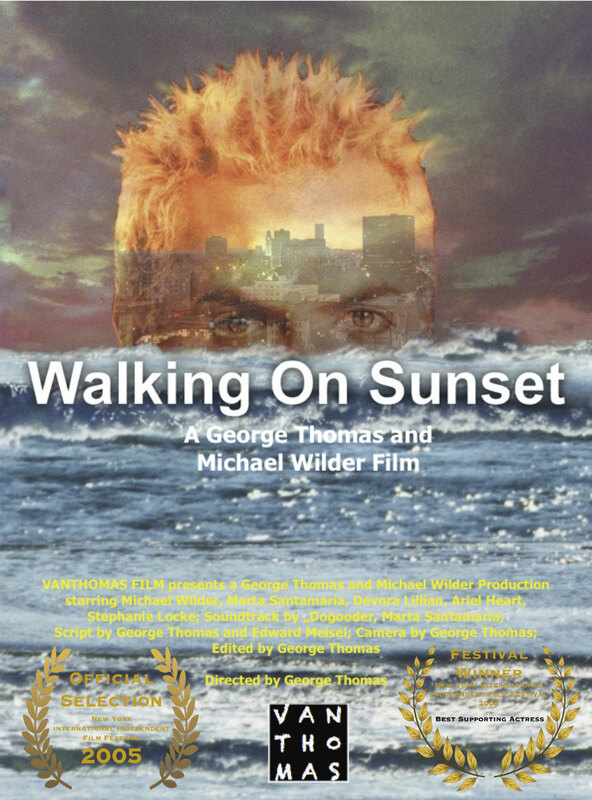 “Walking On Sunset” is a “different” film. In opposition of the genres it fascinates during a stunning minded story by beautiful pictures, its interesting characters and – last but not least – by the specially for this film composed and produced soundtrack from Dogooder. George Arnhoff was born in the mid-fifties in Vienna/Austria. While he studied painting at the Vienna Art Academy his love belonged to photography. He inscribed at the Vienna College Of Graphic Arts, department of photography. After he got his master degree he opened his studio in the heart of the city of Vienna. George Arnhoff began to cooperate with many international advertising agencies and magazines before he went to Paris to shoot for the French airline Air France and for the fashion designer Castellbajac. In 1988 he got assignments for Vogue Magazine. As he changed the location for Palm Springs, California he began to work as a staff-photographer for the Palm Springs Life Magazine. From now on he pointed his lens on many celebrities from the movies and the music scene. When George Arnhoff moved to Los Angeles to open his first photo studio at the West Coast, he found new clients like Elle-Magazine, Fad-Magazine, Emil Rutenberg and Niki Butler. He developed an unique style of photography and from now on his pictures where shown not only along the shopping mile on Rodeo Drive but also during numerous exhibitions throughout the US and Europe. At this time he married Susan Thomas, an autstanding documentary filmmaker and editor. She was the one who brought George Arnhoff more and more towards making film and they funded “Arthom Films” as their very own production company. The first cooperation between him and his wife was the the production of music clips, than the first documentary film “Somewhere In Austria”, a film on the right wing scene in his country of birth which was shown several times on US-television. At that time, he also met Edward Meisel – alias Ed Henley, also an Austrian living in Los Angeles. His work contains numerous extraordinary screenplays for film and television. In the following years George Arnhoff produced the feature length film “Nights Of Dolls” besides lots of commercials and life-TV events. Three years ago, when Susan Thomas died of cancer he started to work on a new project, which should be dedicated to the remembrance of his wife. “Walking On Sunset” was born. Together with his friend and screen writer Edward Meisel, he created scene by scene. “Walking On Sunset” remembers slightly at films like “Buena Vista Social Club” or Felini´s “Roma” and is definitely a love affair with Los Angeles. New York Times, New York/U.S.A.